Because they are created to be small artworks, that you can take with you in a special day. 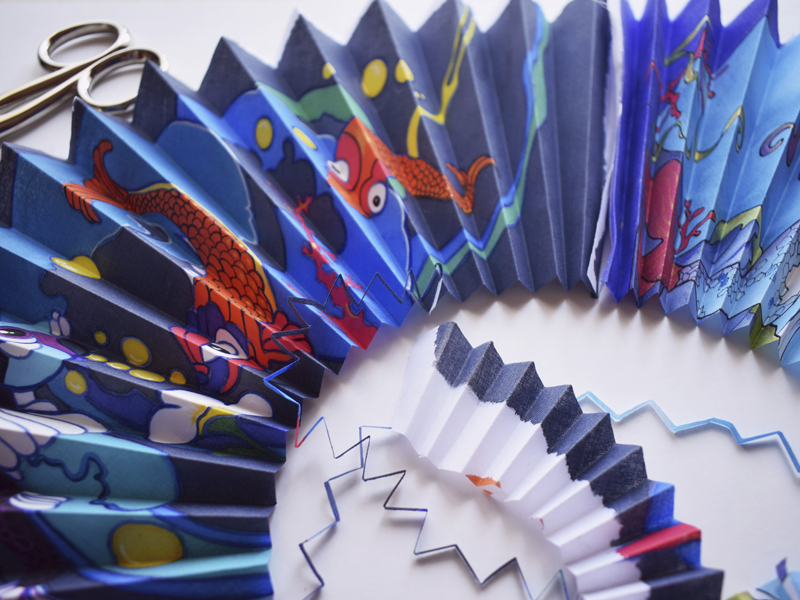 I usually stay rapt when someone take her fan out of her bag and … “wham” ..just looking at it I can see many things, it tells me if she loves art, if is a detailed person, sunny, outgoing, if you she likes nature, or crafts, etc… For me this is the new language of the fan. The way we dress says a lot about us, but I think your fan says even more. Made for Last and be restored. 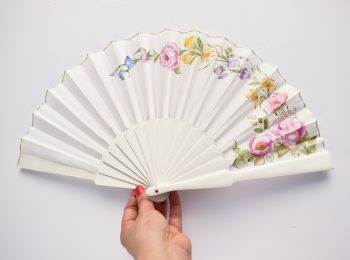 It is much more important to have a fan, that lasts for a long time and is a special object that is associated with good memories, and even that may pass from mothers to daughters, than to have heaps of them broken in the drawers. 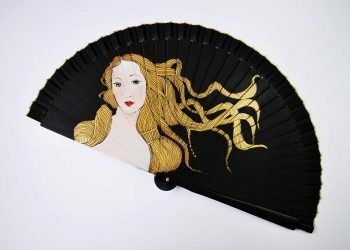 If your fan breaks, as I work with Spanish artisans, with whom I have a close professional relationship, we will find a way to repair it, restoring the necessary pieces. I am at your disposal to create your own design. 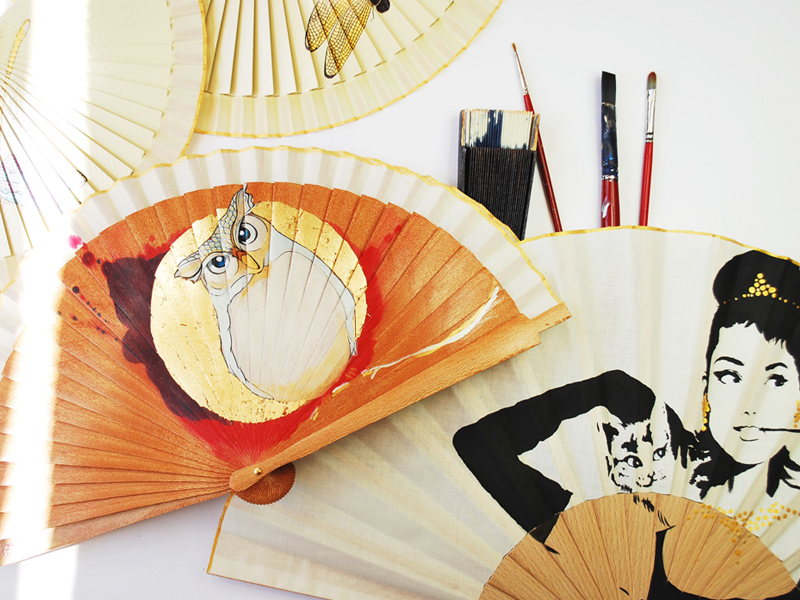 In my workshop I paint all the fans, I polish the rods, and also, I design the painting and assemble the fabrics. I will be delighted that together we design your fan, anything is possible, just tell me about your ideas and your preferences. 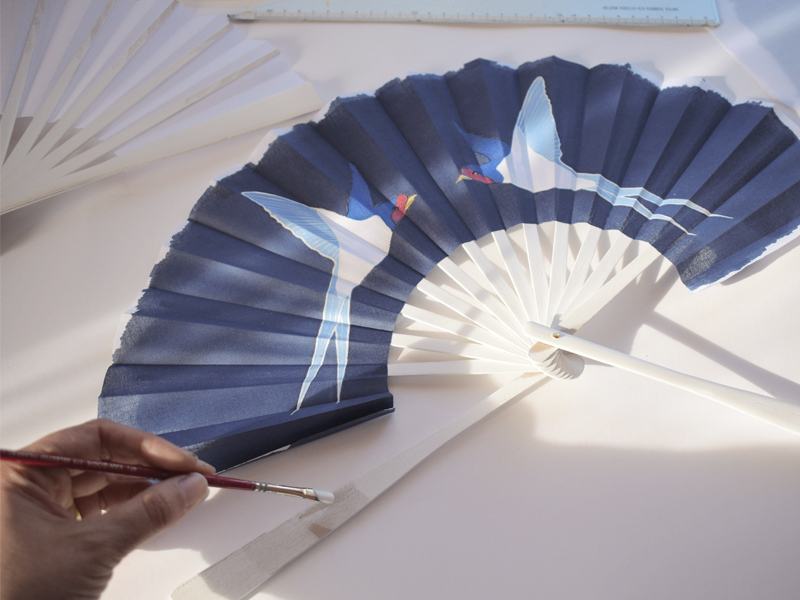 Each piece is prepared on request, if you have any suggestions and want to change some handfan of one of my models, just write to Gigihandfans@gmail.com and I’ll study how to make it possible. 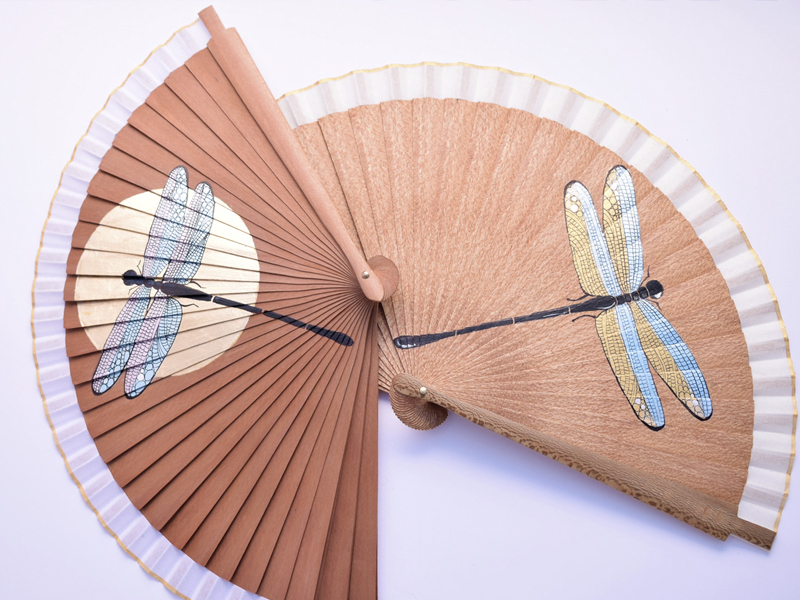 Each part of my fans has been made one by one with much patience and care, this makes the difference and provide the highest quality, because, when a craftsman works with care, tries to make their work as good as possible, without flaws or imperfections. The artisan always looks for the more suitable woods. The same happens with my paintings either in the fabric or in the wood.. I always try to do them perfect. 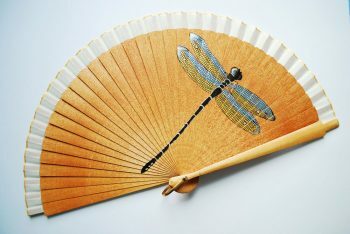 I advocate to defend local artisans … I use handmade fans made in Valencia, Spain. For sure I could find fans made very far from here … for instance from China .. but the difference in quality is very high. I will continue designing, painting and producing my own fabrics, always with fans handmade by local artisans.